It’s that time of year again — when I request you share with other readers of MillersTime your most favorite books read over the past 12 months. *When I ask for your Most Favorite Reads of 2017, I’m seeking fiction and/or nonfiction books that stood out for you above all you’ve read in the past year. What have been the most enjoyable, the most important, the most thought provoking, the best written, the ones you may go back and read again, the ones you reread this year, and/or the ones you have suggested others read? * You are welcome to send just one title or as many as are truly favorite reads. * I, and most MillersTime readers, seem particularly interested in why a particular book made it to your list this year. 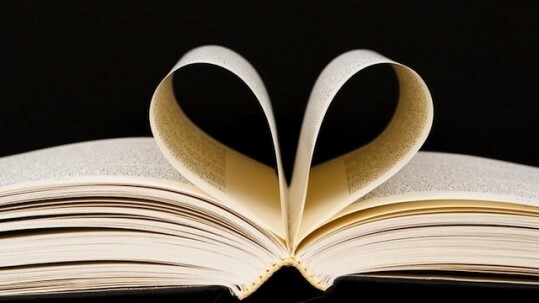 Please write a sentence or two, or more, about why each particular book was a favorite for you this year. * Don’t be concerned about whether others will have the same book(s) on their lists. If we get a number of similar titles, that’s just an indication of the power of a particular book/author. * Your books do not have to be ones that were written and/or published in 2017, just ones that you read over the past year. If you participated this year in sending titles of books you enjoyed in the first half of 2017, feel free to include one or more of those if they make it to your list of most favorites in 2017. *If you have listened to a book(s) in one of the various audio formats, Books on Tape, CDs, Audible, etc., and if they meet your definition of books “you’ve enjoyed the most in 2017,” please include those on your list also, This is in addition to the ones you (may) have listed. Be sure to identify which ‘books’ on your list were ones you enjoyed audibly. To see previous years’ lists, click on any of these links: 2009, 2010, 2011, 2012, 2013, 2014, 2015. 2016. Each year I identify at least 12 books to add to my ‘to read’ list from the annual Books Most Enjoyed by MillersTime Readers. I generally split them between fiction and nonfiction. Some I choose because several of you have suggested them, some because of the description a reader has written, and some because of the topic (often something I might never have chosen on my own). 2nd Person Singular by Sayed Kashua (suggested by the oldest contributor to the list – 95 years old). I Survived Series by Lauren Tarshis (suggested by the youngest contributor, now eight years old). To date I have kept my New Year’s resolution to put books I have read on Goodreads as soon as I’ve completed them. Also, as a backup, I am keeping a list of books read in “Notes” on my computer, along with a few sentences on each as I’m continuing to suffer from CRS. So far in January, I’ve thoroughly enjoyed and can highly recommend The Path Between the Seas by David McCullough, The North Water by Ian McGuire, War & Turpentine by Stefan Heretmans, Do Not Say That We Have Nothing by Madeleine Thiel, The Return: Fathers, Sons, and the Land in Between by Hisham Matar, and Moonglow by Michael Chabon. Finally, I’d love to know how various readers have used the annual favorites’ list. Have you chosen books from it, and if so, what makes you chose those particular ones? You can leave a note in the Comments’ section of this post or let me know in an email: Samesty84@gmail.com.